President Donald Trump made an unannounced trip to the Martin Luther King Jr. Memorial in Washington on Monday. Around midmorning Monday, Trump tweeted a link to a proclamation he signed last week declaring Martin Luther King Jr. Day. «Today we celebrate Dr. Martin Luther King, Jr. for standing up for the self-evident truth Americans hold so dear, that no matter what the color of our skin or the place of our birth, we are all created equal by God,» the president tweeted. Martin Luther King Jr was assassinated in 1968, but it took 15 years to create the federal Martin Luther King, Jr. holiday. Congress passed the holiday legislation in 1983, which was then signed into law by President Ronald Reagan. A compromise moving the holiday from Jan. 15, Kings birthday, which was considered too close to Christmas and new years, to the third Monday in January helped overcome opposition to the law. 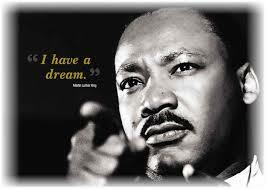 In 2000, Utah became the last state to recognize MLK Day by name, renaming its Human Rights Day state holiday. King was the chief spokesperson for nonviolent activism in the Civil Rights Movement, which successfully protested racial discrimination in federal and state law. While many states now observe the holiday, some did not name the day after King. For example, in New Hampshire, the holiday was known as «Civil Rights Day» until 1999, when the State Legislature voted to change the name of the holiday to Martin Luther King Day. A lot of people around the world share Kings idea of «dreams», but some people on this planet think they could kill the dream by slaying the dreamer, but as the example of Martin Luther Kings life shows; People like that are always wrong. The civil rights movement was a decades-long movement with the goal of enforcing constitutional and legal rights for African-Americans that other Americans already enjoyed. Various groups and organized social movements accomplish the goals of ending legalized racial segregation, disenfranchisement and discrimination in the United States. People around the world have been marching on the MLK Day every year the last 50 years, and now we can see similar movements are happening in France. Some of the Yellow Vest protesters in France are Anti-fascists and Anti-racists. You have to be blind to not see that France have the same challenge even today, fifty years later. Civil rights movements are a worldwide series of political movements for equality before the law, that peaked in the 1960`s. The main aim of the successful civil rights movement and other social movements for civil rights included ensuring that the rights of all people where and are equally protected by the law.